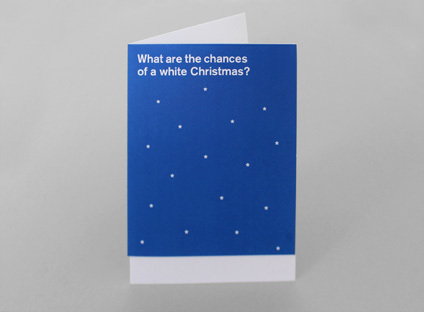 ‘Far from the traditional picturesque image of glistening snow-blanketed countryside, the official definition of a white Christmas is for just a single flake of snow to be recorded falling during the 24 hours of Christmas Day. 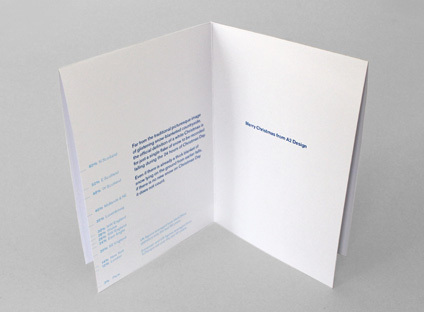 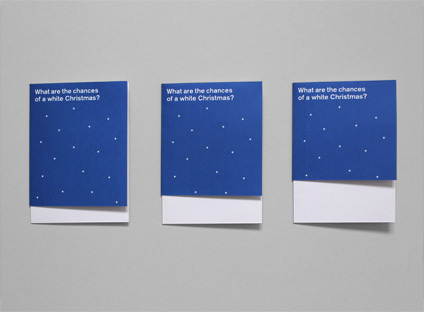 The cards were printed digitally, allowing each one to be different. 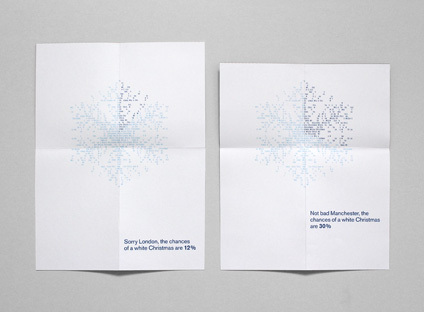 Each card was designed to reflect the chances of a white Christmas in the location it was being sent to; the front cover was cut short to show a percentage of snow on the ground, a statistic which was also interpreted as a snowflake graph as the card unfolded.